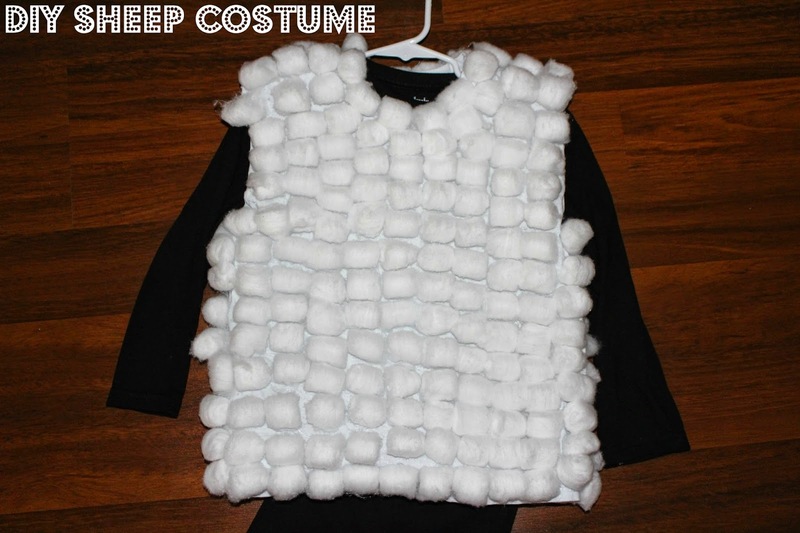 My daughter has her first ever play on Tuesday, I am so excited for her but at the same time, I've been racking my non-crafty brain on how to create a sheep costume for her. 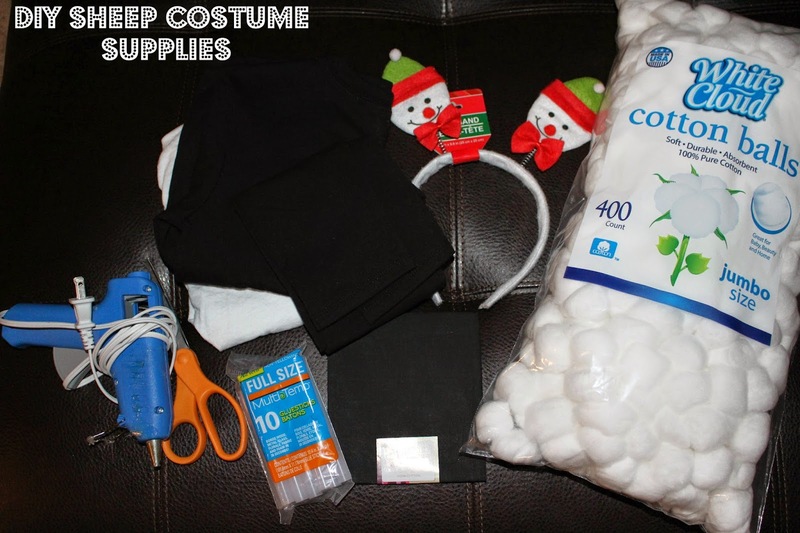 The entire class has been asked to dress up as sheep for this years Christmas musical play, so after searching Google & Pinterest for ideas, I headed to my local Wal-Mart & purchased everything I would need to make my first-ever costume! I started on the ears first, I removed the bow & nose from the snowman, traced them over the black cloth (or felt), then cut out the ear shape. Once I had enough cloth pieces cut out (1 for the front & 1 for the back of each snowman), using the hot glue gun, I glued them on the front & back of the snowman, super easy to do & now you have sheep ears! 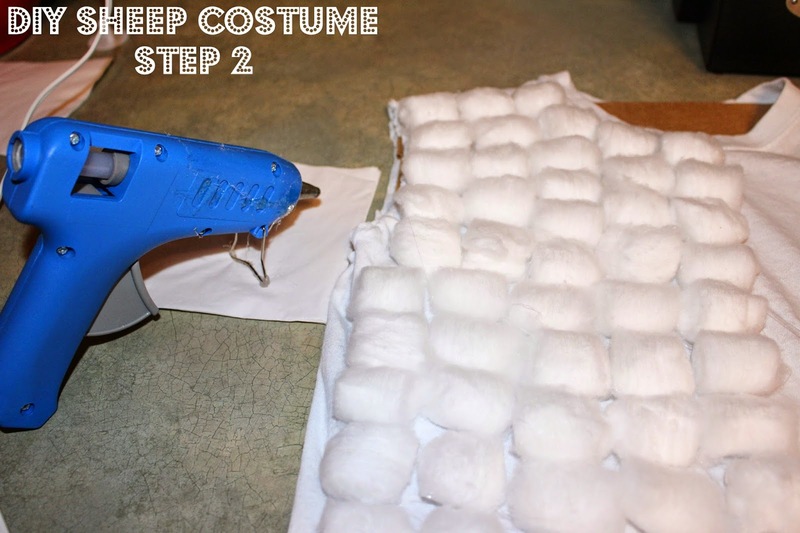 Take your white t-shirt & cut the sleeves off, then using the hot glue gun again, I glued cotton balls on the front & back of the t-shirt, one by one. It is time consuming but the shirt turned out super cute once I was done! Once everything has cooled off & dried, it's time to get dressed! 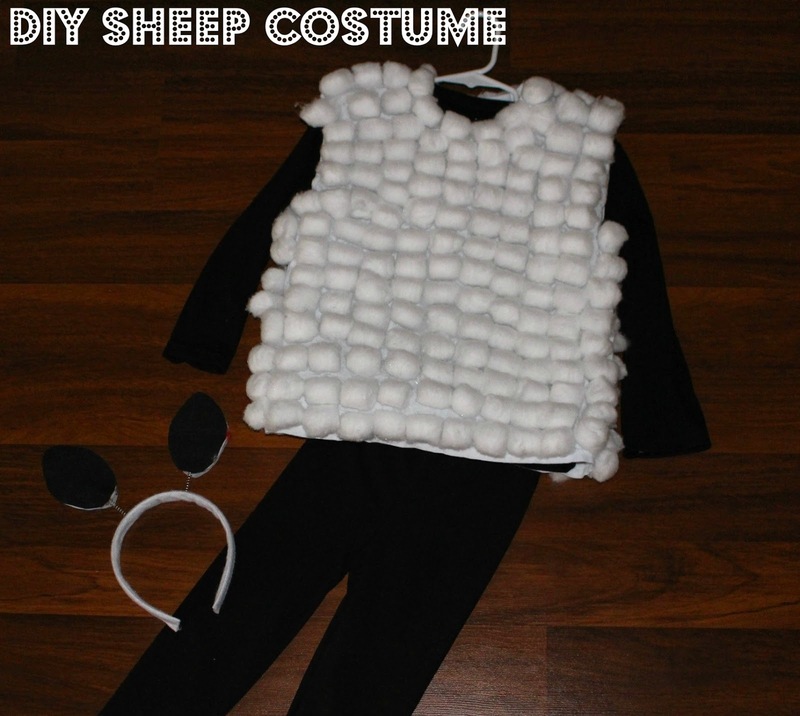 There ya have it, a super easy, affordable & adorable DIY sheep costume! I can't wait to see my daughter & all of her classmates in her first ever play wearing her new sheep costume! 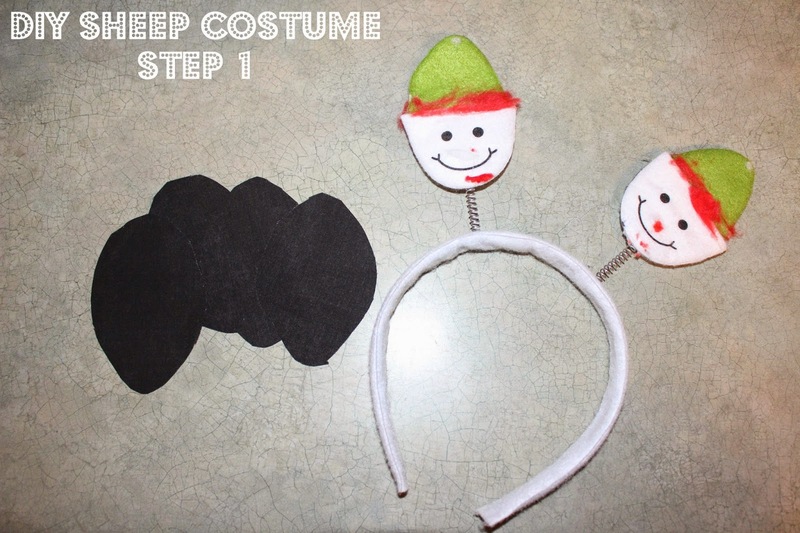 Love this cute and easy DIY costume, most of the stuff is laying around the house, so great way to save money. Love this.